Hearse Van, Embalming, A/C Freezer Box or Ice Box & Coffin Box. Available 24 Hours, Domestic, National and International Level. MANY PEOPLE FEEL OVERWHELMED WHEN A LOVED ONE DIES AND ARE UNSURE WHAT TO DO. Express dead body transport services provide services for shipment of the human dead body in entire India by Air, Rail and Road mode as per convenience/Requirement of the Client. We Provide Services to obtain Documents Required for Shipment of Dead Body within India & International Services include; Documentation Assistance, Embalming, Coffin Box, Customs Clearance, Cargo Booking & Attendant Travel arrangement(Tickets, visa. etc.). Express dead body transport services arrange everything for you. One call to Express dead body transport services, and we will quickly set the ball rolling. Courses of action are made to gather the expired from the spot of death and move them to a concerned individual or place . Domestic shipping (i.e. inside the nation ) can frequently be arranged at a reasonable expense if just a '‘minimum ship-out service’ is contracted for the dispatching burial service home. "Our primary objective at Express dead body transport Service is to expect customer's needs, then help them by providing skilled services". Express dead body transport services arrange everything for you. One call to Express dead body transport services, and we will quickly set the ball rolling. Courses of action are made to gather the expired from the spot of death and move them to a concerned individual or place. Express Dead Body Transport Services is a New Delhi based firm occupied with assembling/overhauling of Dead Body Transportation Services of prevalent quality and eco-accommodating Morgue Undertaker Services, Mobile Mortuary Services, Hearse vans, various Coffin Boxes. Established in the year 2010, our competitive valuing, imaginative and inventive planning has empowered us to make a niche for ourselves in the business sector. We are connected with all hospitals and airlines. 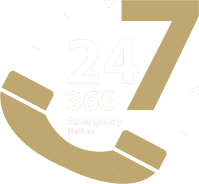 Call free 24 hours a day. © 2019 Express Dead Body Transport. All Rights Reserved.